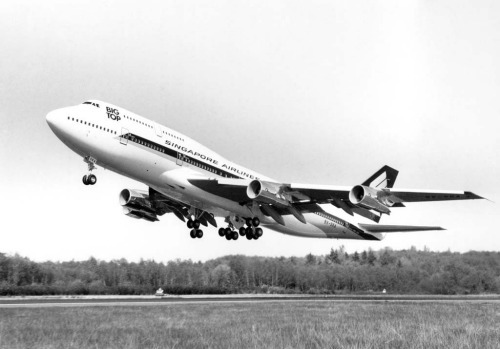 The wide-bodied Boeing 747 was once known as the queen of the skies, an instantly recognisable behemoth revered for its luxury and spaciousness. As time passed, however, the original jumbo jet was outstripped by more efficient twin-engine planes. 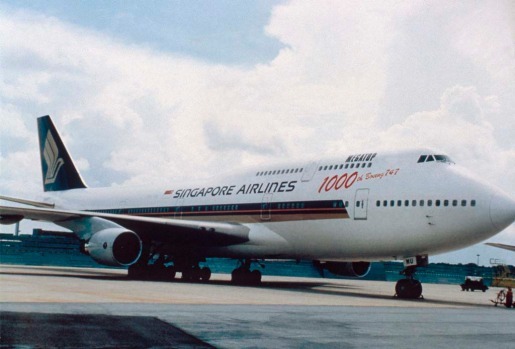 Now the 747's days as a passenger plane are numbered. Delta and United - the last two US airlines that fly 747s - have said they will retire those planes from their fleet by the end of the year, 48 years after the jet first took flight. 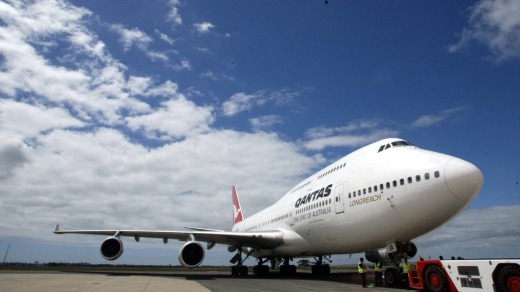 Qantas still flies 747s on some of its long-haul routes, but the airline will start replacing these with 787-9 Dreamliners from the end of this year. Today, Boeing produces just six 747s a year. The Chicago-based aerospace giant says it is eyeing the cargo market for new customers. The winding-down of 747 production is also a reminder of Southern California's diminished role as a builder of big planes and their parts. The most prominent supplier in the region is a fuselage-panel plant in the Los Angeles-area city of Hawthorne that once employed thousands. Today, the factory has 300 employees. 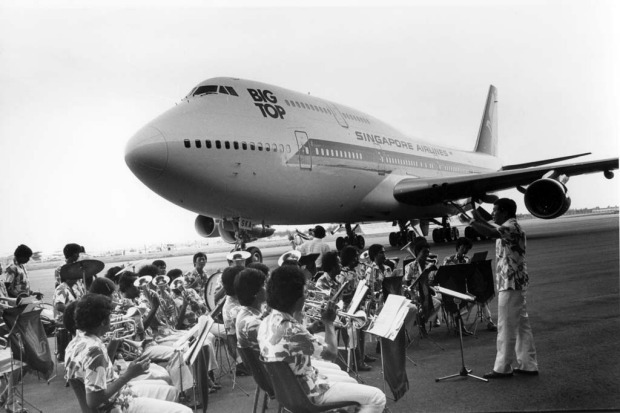 "The 747 was a fabulous airplane," said Scott Hamilton, founder of aviation consulting firm Leeham Co. "But like any technology, it moves on." At the time, the big jet represented a spectacular gamble for Boeing. 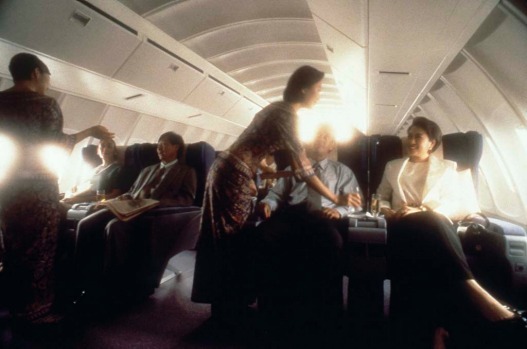 Up until the 747's debut, flying was a cramped - or more cramped - experience in narrow-body planes. 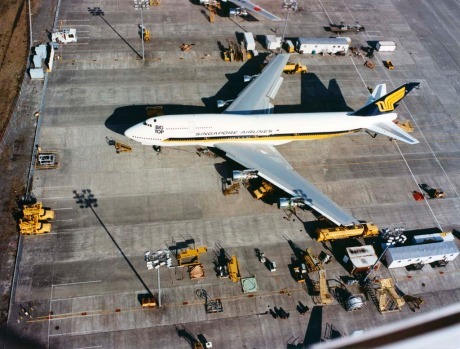 When the plane rolled off an assembly line in the late 1960s, it was already larger and had longer range than later "airbus" aircraft, such as the McDonnell Douglas DC-10 and Lockheed L-1011. 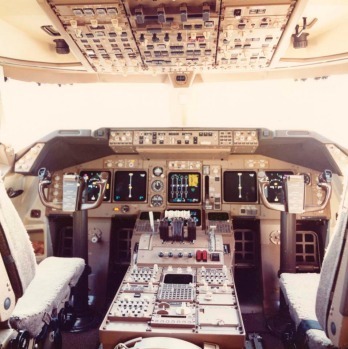 Aspiring 747 pilots were specially trained to taxi the large aircraft by riding in a mock-up of the plane's flight deck boosted on three-story-tall stilts in a moving truck. Pilots maneuvered the "simulator" by radioing directions down to the truck driver. Boeing poured financial resources into the 747's development, which almost bankrupted the company as cost overruns were exacerbated by a recession that broke just as the plane made its debut, said Suresh Kotha, professor of management at the University of Washington's Foster School of Business. The company had to cut deals with suppliers to produce parts on their own dime. 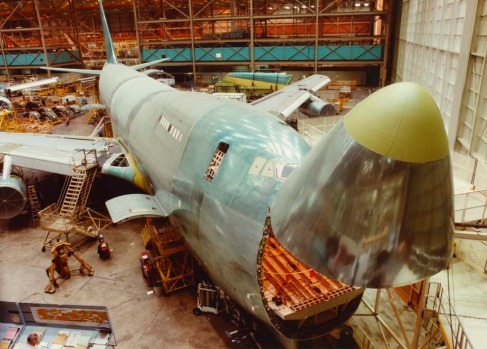 Production began while the massive Everett, Wash., assembly plant was still under construction; the plant's construction alone cost $US200 million ($A262 million), according to the book Boeing 747: A History. Expected orders disappeared, and airlines that did buy the plane opted to install lounges in the 747's famous hump rather than fill the plane to its 400-seat capacity. 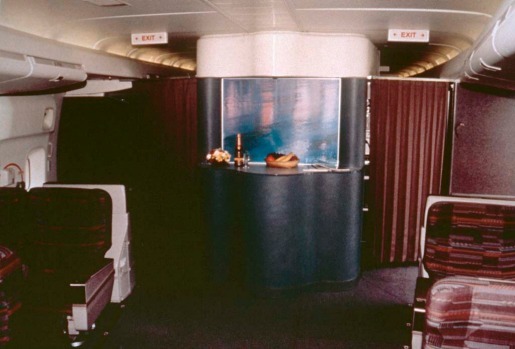 American Airlines even placed a piano bar near the back of its planes. "It had unparalleled spaciousness," Hamilton said. "The fliers of today are used to stepping on a 747 or 777 that has wide bodies. 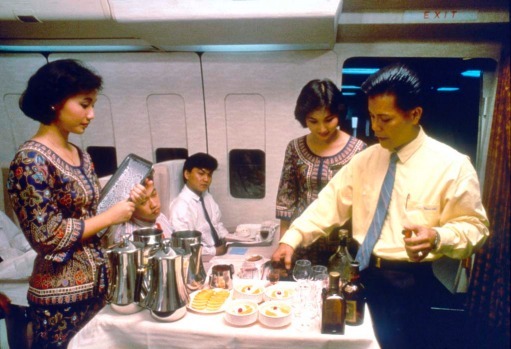 Back then, you'd step onto the airplane and go, 'Wow.'" At the time, commercial aerospace was still a major industry in Southern California. 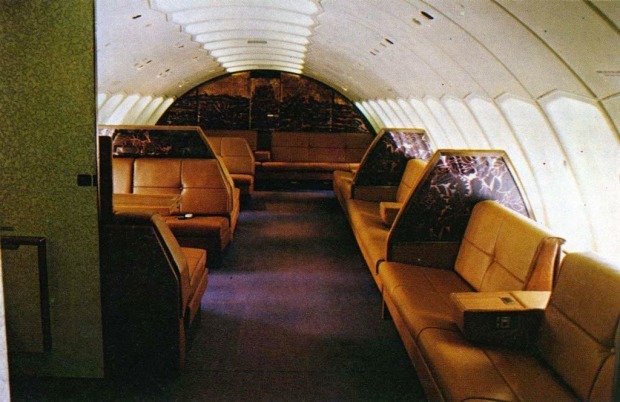 Northrop won a Boeing subcontract to produce the plane's fuselage panels in 1966. The company's Hawthorne plant made the basic fuselage assemblies, while another facility in the coastal city of Ventura built the structure that connected the fuselage skin with the wing. Plants in Anaheim and Long Beach produced the plane's flooring. In 1969, the Hawthorne plant employed 5000 workers, as well as an additional 2400 who were indirectly involved in 747 production. Lockheed and Douglas later ceded the commercial market to Boeing, and the region focused more on space and defense, said Peter Westwick, adjunct professor of history at USC and editor of the book Blue Sky Metropolis: The Aerospace Century in Southern California. "Northrop ended up being the one to keep building these commercial aircraft," he said. "And Northrop is not usually seen as one of the main players." 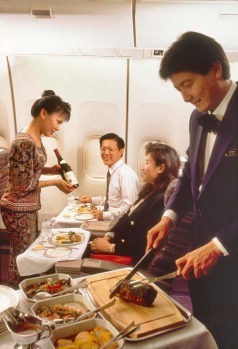 In 2005, Boeing rival Airbus unveiled its own jumbo jet, the 555-seat A380. Boeing tried to counter the move by announcing plans for updated versions of the 747, but airlines weren't interested in what they saw as an outdated plane. Boeing shifted its strategy and began promoting a future of more point-to-point travel to smaller airports, versus the old hub-and-spoke system that maximized huge planes, Kotha said. More important, technology shifted to favor more fuel-efficient jets. Lighter engines were developed using more titanium and capable of generating more thrust, with more reliable turbine blades. Twin-engine planes were eventually certified to fly over the ocean. Planes such as the Boeing 777 and 787, and Airbus A330 and 350, combined the perks of a wide body with greater fuel-efficiency. A typical 290-seat Boeing 787-9 would use about 69,000 litres of fuel to fly from Los Angeles International Airport to London's Heathrow Airport, according to an analysis from Leeham Co. A 405-seat 747-8 passenger plane making the same trip would use about 124,000 litres. Now Airbus is facing a similar sales cliff with its massive A380. The company recorded no net orders last year and is working through a dwindling backlog of orders. Boeing, meanwhile, is hoping to squeeze out some last years from the 747 as a cargo plane. In October, UPS ordered 14 new 747-8 cargo jets for its air shipping service, with an option to purchase an additional 14. Boeing spokeswoman Jessica Kowal said the UPS order indicates that customers still see value in the 747 for its carrying capacity and its hinged nose door for accommodating larger loads. "We continue building 747-8s, and there are no plans to discontinue that work," she said in a statement. "While the previous economic downturn slowed the market, we are working with customers across the globe and expect activity to increase to match growth of the cargo market." Analysts say the international air cargo market has grown, especially with the rise of e-commerce. But unless Boeing is able to secure additional orders beyond that of UPS, the plane could be out of production, Kotha said. Also encountering some turbulence is the 747's most prestigious assignment - the heavily modified Air Force One plane that transports U.S. presidents. Boeing has initial contracts amounting to $US170 million to develop a new version, based on the latest 747-8, but President Trump has challenged the jet's price tag and the two sides have held discussions on possible cost savings. Over time, the vast 747 supplier base in California has shrunk. In 1993, there were about 320 suppliers in the state; today, there are only 118 factories in California that support the program. The plane's fuselage panels are still produced in Hawthorne and transported via rail cars to Boeing's facility in Washington. In 2000, Northrop Grumman sold its commercial aero-structures business, including the Hawthorne plant, to the Carlyle Group, a private investment firm. The plant was later purchased by Triumph Group. At the current production rate, Triumph will be under contract with Boeing through the end of the decade, Boeing said. The factory's neighborhood reflects the shifting focus of Southern California's reinvigorated aerospace industry. Elon Musk's SpaceX has moved in along Jack Northrop Ave.; at one end of the block, the first rocket booster the company landed back on Earth towers over nearby buildings. Large tubes for the SpaceX Hyperloop Pod Competition run along most of the street. Triumph's buildings are largely hidden behind a black fence, with the company's name and logo on a few modest signs. "Any future depends on whether UPS exercises options for ... another 14 (planes)," Hamilton said. "But basically once Air Force One is delivered, and once UPS is delivered, there's really no future left for the 747." 1966: Pan American places the first order for Boeing's 747. The airline orders 25 planes. 1966: Northrop Corp. announces it was selected to build the fuselage of the 747 in Southern California. 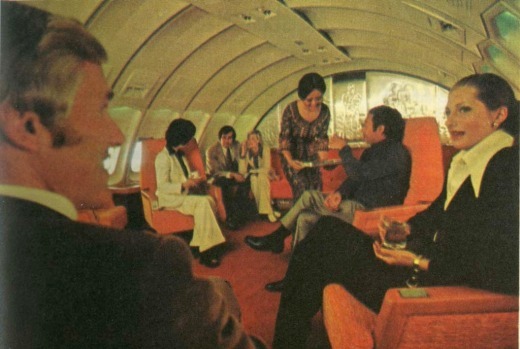 1970: The Boeing 747 enters commercial service, taking passengers from New York to London on Pan American. 1974: NASA acquires a 747 jetliner from American Airlines and converts it into the Shuttle Carrier Aircraft to carry the space shuttle back and forth across the country. 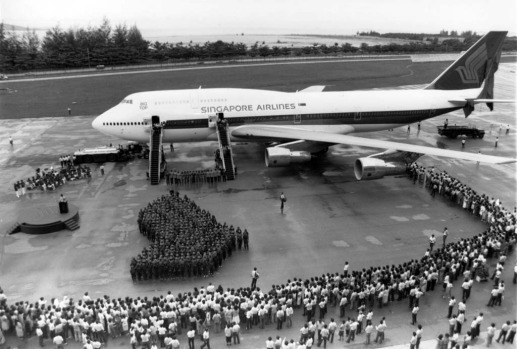 1990: Two 747-200s are modified to serve as Air Force One, replacing the Boeing VC-137s that had served as the presidential aircraft for almost 30 years. 2006: A modified 747-400 freighter debuts as the platform for the U.S. Air Force's Airborne Laser Program, which was intended to destroy ballistic missiles with a laser mounted in the plane's nose. The plane is later designated YAL-1 but is eventually cancelled. 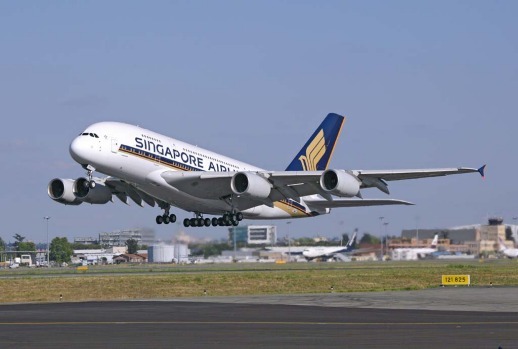 2007: Airbus' jumbo jet, the A380, enters service. 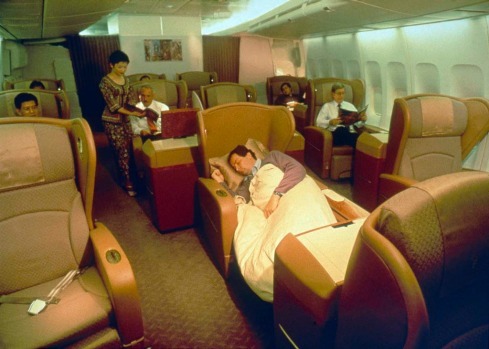 The double-deck plane seats 555 people. 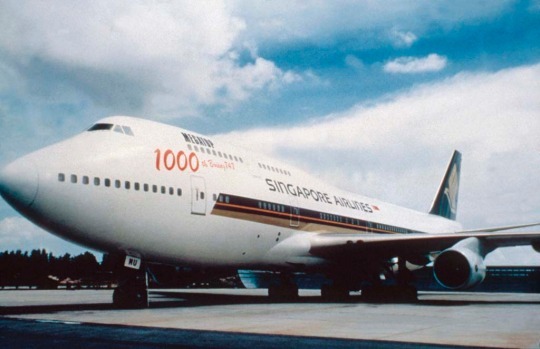 2014: Boeing delivers its 1,500th 747. 2015: Richard Branson's Virgin Galactic says it will use a modified version of a 747 nicknamed Cosmic Girl to serve as the carrier aircraft for its satellite-launching rocket, LauncherOne. See also: Airbus A350 vs Boeing Dreamliner - which plane is best for long-haul flights?